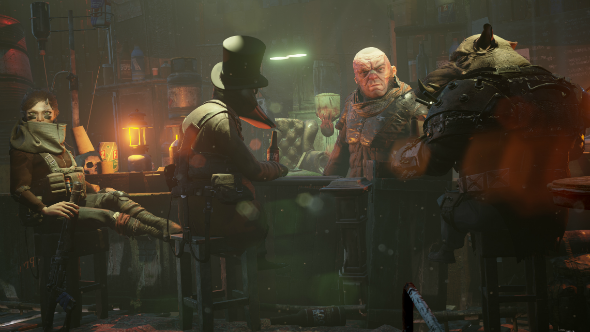 OK, that headline is a slight lie – there is only one duck that wears a top hat in Mutant Year Zero: Road To Eden. Although, his name is Dux, so the potential for plural/singular confusion is obvious. What’s more interesting than his choice of headgear – or, at least, more relevant from a gameplay perspective – is that Dux has mutations that allow him to fly. Well, that’s being generous: it is really more of a temporary hover. This means that, in combat situations, he is able to get a better line of sight on an enemy and thus improve his percentage chance of connecting with a shot. Do you know the four essential ingredients you need to make an XCOM? Those combat situations will be immediately familiar to anyone who has played XCOM. The camera angle, the HUD, the movement grid – it all sits somewhere between ‘imitation as flattery’ and ‘he copied my homework’. 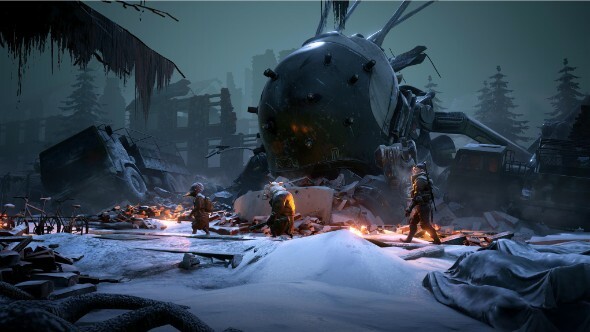 But where Mutant: Year Zero diverges from Firaxis’ series is in how conflict crops up in the first place. When exploring an environment, either in pre- or post-combat, you do so with free movement in real-time. You can trot your three-person squad around wherever you like without having to worry about turns or action points, and you can switch between characters as you wish. It’s only when you stray into the field of view of an enemy that the situation instantly (yes, there’s no loading screen) goes all XCOM-with-animals, with the game moving to its turn-based system until the battle is resolved. This means that you are able to position your squad optimally around the combat zone before a firefight commences, giving yourself the best possible chance of being successful. However, if your top-hat-wearing duck, or your tempermental boar (Bormin), or your… human woman (Selma) are inadvertently caught exploring then it’s the enemy who will get the first turn. This matters because, just as with the game’s obvious inspiration, it is supposed to be tough. While in the live demo we saw the climactic battle go pretty smoothly, the sense was that this was the exception rather than the rule – the phrase “fail to prepare, prepare to fail” was offered as more than empty cliche. The story behind your anthropomorphised animal assault squad and their deeds is classic end-times fiction. Global economic crisis, rising international tensions, nukes dropped, and so on. The upshot is a ruined world partially reclaimed by nature and, of course, one remaining outpost of civilisation (it’s always just the one, isn’t it?). The Ark is that one outpost, and you and your team are Scavengers tasked with bringing back supplies to keep it running. You revisit the Ark in between missions for upgrades, supplies, and general post-apocalyptic R&R, with the ultimate goal being to discover the Eden of the game’s subtitle – which is, presumably, a bit grander than a shanty town built on an oil rig. Points for narrative originality are in short supply then. 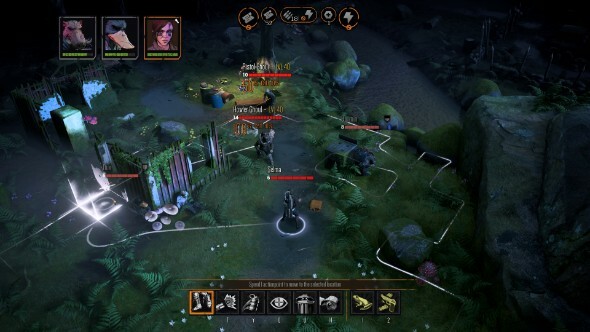 But where Mutant Year Zero intrigues is in the heritage of its team – developers The Bearded Ladies are staffed with former Io Interactive leads – and how its two gameplay styles are able to dovetail. The transition from real-time to turn-based is pleasingly smooth, and so the hope is that the former offers both increased tactical options for the latter, and a level of dynamism and exploration that fully turn-based games don’t allow for.